This is one of the only Nails Inc polishes that has given me some trouble. It was a bit thick. Next time I will add some thinner and hope that it fixes it. I was hoping for a one coat white. It needed something so I added a coat of Nails Inc Electric Lane, a holographic glitter, and China Glaze Shooting Star, which is my favorite layering polish ever! 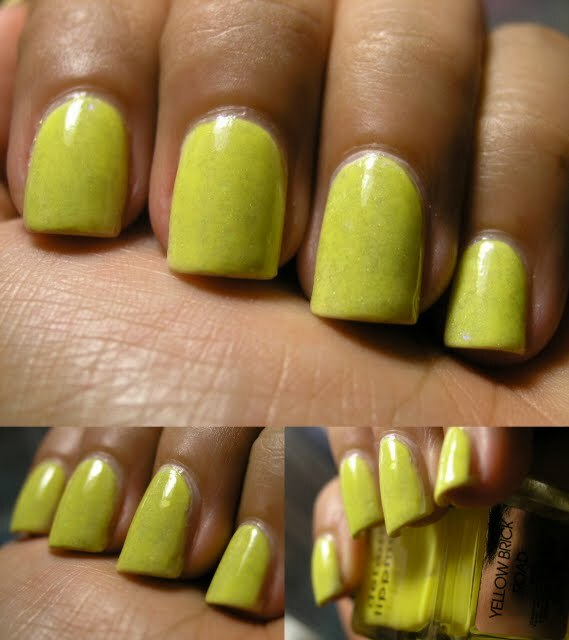 Then I decided to layer a jelly over it, this time around the lucky polish was Deborah Lippmans Yellow Brick Road. I needed 2 coats for it not to be streaky. I don't like the end result, the yellow looks really muddied. I owe you swatches of Electric Lane, and Yellow Brick Road by themselves.